I was fishing the lower Tennessee River recently and caught 3 of these on a steel shad crankbait (pictured). All of them were hooked inside the mouth so I doubt they were all snagged. 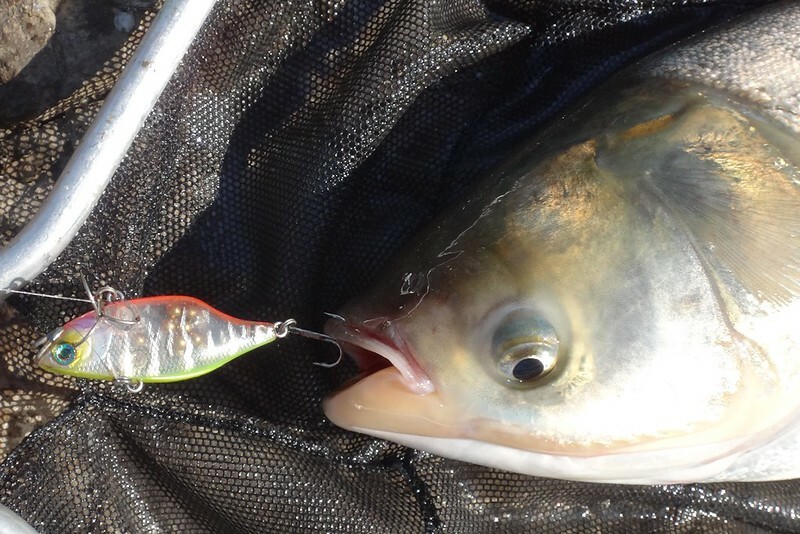 Anyone ever caught silver or bighead carp on artificials? Very weird. I will say they are everywhere around here unfortunately. Plenty of grass carp on flies. Uland caught a couple silvers in the Illinois on one of our trips. I believe they were on spoons. F5 flatfish is what he called it, I believe. Looks like Ben Cantrell has also caught some of these on artificials in perusing his blog just now. Didn't realize this happened with these species. I will say they put up quite a fight. Well apparently this isn't as unusual as I thought. Found quite a few more reports like this online. Not sure if this is a reflex bite or what exactly the mechanism is but it happens. Live and learn. It's a thing. I've caught 2: one on a Mepps spinner while fishing for shortnose gar, one on a fly imitating cottonwood fluff while fishing for grass carp. It's quite common, but from my experience only below spillways or natural chutes where fish stack up waiting for food to tumble down. God awful ugly things. Why do many Asian carp and catfish have their eyes in the wrong place? What is it that makes it beneficial in their environment. I have discussed this with several people. Heard some good theories, but still not satisfied. As Ben said below spillways, Sabiki rigs work great.